(p) & (c) 2009 Ultimae Records. Cat# is "inre 035" on the back cover and "inre035" on the CD. Released in 6-side digipak with 16-page booklet. "Discovering" is a real killa on good audio equipment !! Really !!! I'm glad Solar Fields released this gem in 2009, it will save me a lot of strife trying to decide on the best album from the last decade. Movements is so far beyond any other album I've heard that it easily takes #1 spot for the year and decade. I second the comment about this being the 1 album I'd keep. The detail and direction in every track is unparalleled. In Movements Solar Fields has one-upped himself; who'd have imagined he could blow Leaving Home out of the water like this? Judging his progression during the last decade I can only imagine if/what his next release will be. I just want to say big thanks and congratulations to Magnus Birgersson for making what will be a timeless classic. And as long as you keep making music please keep up this high quality! 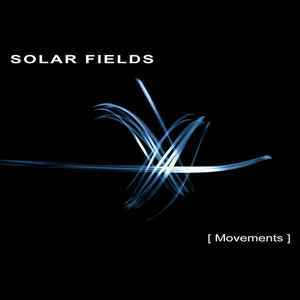 If I only could keep one album out of all the music I own, it would without a doubt be Solar Field "Movements". It's more than music. Most of the music I love is connected with memories. I've first heard the track some years back, then come to love it, and then bought it. The difference with Solar Fields, and particulary "Movements", is that I come to love it instantly. "Sol" is a very lush composition, which starts of nice and calm, and lift you carefully up to start the journey through "Movements". "Circles Of Motion" show a more warm feeling, and raise the tempo a bit to introduce "Discovering", which truly is a track that combine electronic and acoustic music. For me the climax of this album is "Sky Trees". As I love melodies I came to love this track after the very first time I played it. When it takes off a second time around 6 minutes, I'm so full of inspiration, joy, happiness and other strong, positive feelings I don't know how to express myself. "The Stones Are Not Too Busy" is truly a signum track for Solar Fields; it start of very peaceful and plain, and introduce new elements one after another. It's so full of variation, but still don't loose the focus. The guitar plucking sound that starts off around 5 minutes is a beautiful experience with good speakers. "Dust" is a very calming track, which have already helped me get to sleep from time to time. The warm bass is like a soft pillow for the ears. "Das Bungalow" starts off very peaceful, but ends out being a very melodical, complex and interesting piece of music, and you keep finding new elements in the track you didn't hear the last time. "Feelings (Album Edit)" reminds be a bit of his extraordinary in-game soundtrack for "Mirror's Edge", it's very clean and full of light, as well as the following track, "Patterns". This track made the same impression on me as "Sky Trees", but this one almost made me a bit teary-eyed. It evolves from being a soft and tranquil composition to adopt breakbeat elements in the middle of the track, and then go back into the ambient sound. The fact that it is only about 4 minutes can be a bit frustrating, but actually I enjoy this one not being too long. If it were about 8-9 minutes it would most likely not have the same feeling. "The Road To Nothingness" sounds a bit like the last track "Leaving Home" from the album with the same name; a bit complex, slightly frightening, sad and intense. Lucky he made the last track, called "Breeze", which puts us nicely back on the earth again and leave us with regained strength to face the dull reality with a smile. "Movements" is an album I have so much feelings for I hardly know how to put my words, and it is something I gladly reccomend anyone. Magnus haven't missed a thing with this one. This album isn't mainly for Solar Fields' fans. It isn't mainly for EDM/IDM fans. It isn't mainly for people who like music. This is an album for everyone. Magnus has done it again! This is another cornucopia of soundscapes and dreamworlds inside the minds eye. He maintains the chord progression archetypes that have given him his sound, while expounding in new and unique ways with how the tracks are layered and fuse. Some things Ive noticed a influenc of Brian Transeau and his circuit bending techniques from This Binary Universe; specifically in Patterns and Sol. Das Bungalo also sounds like a fusion of Asura- Galaxies and a Cocoon Moon feel. Overall this album is another knockout and definitely worth a buy 5/5. Magnus has done it again! This is another cornucopia of soundscapes and dreamworlds inside the minds eye. He maintains the chord progression archetypes that have given him his sound, while expounding in new and unique ways with how the tracks are layered and fuse. Some things I've noticed a influenc of Brian Transeau and his 'circuit bending' techniques from This Binary Universe; specifically in 'Patterns' and 'Sol'. 'Das Bungalo' also sounds like a fusion of Asura- Galaxies and a Cocoon Moon feel.